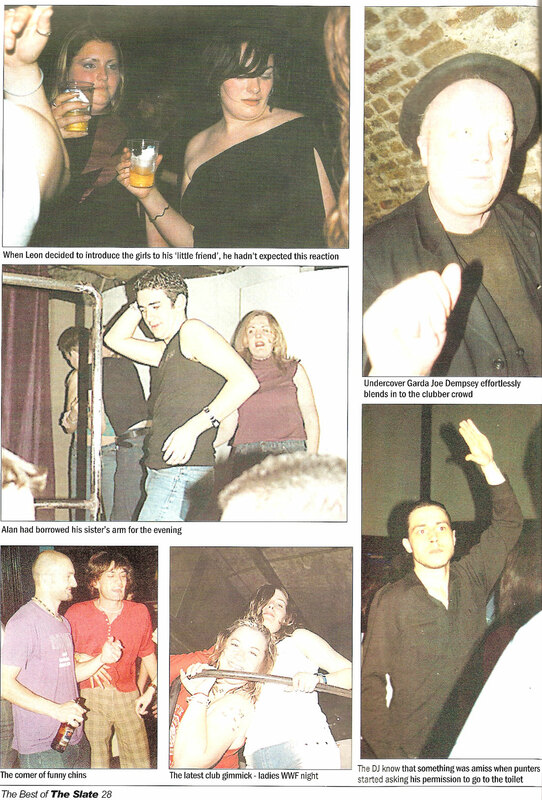 The page scans above are from Issue 2 of the Slate depicting night life in Dublin on New Year’s Eve, 2000. 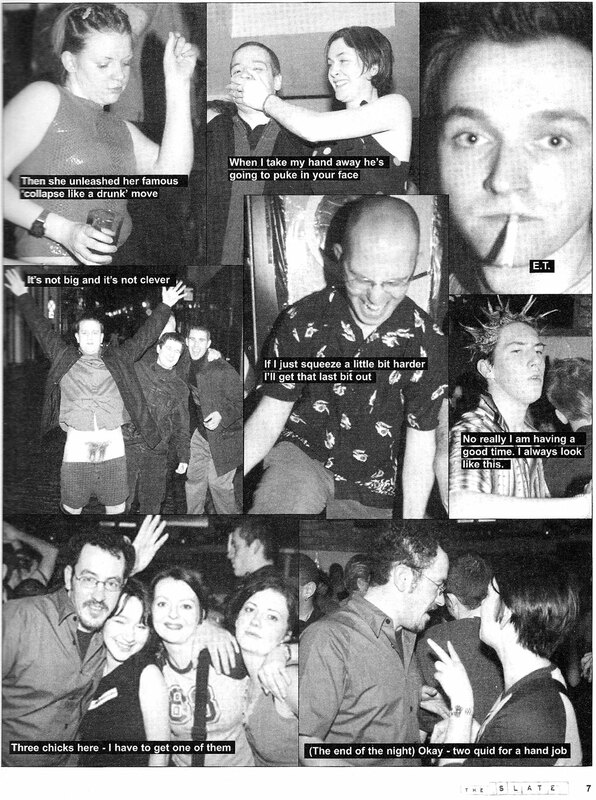 These “social pages” became a consistent feature right through the Slate’s lifetime and I’ve scanned in just some of these below. My fave is the geek hoover!